Over time people tend to simplify things to the point where the original intent is lost. 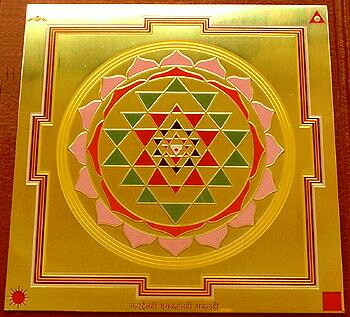 This is the most distorted version of the Sri Yantra. We can't even call it a Sri Yantra any more since it doesn't even answer to the the basic criteria that requires all the triangles apex to be connected to the base of another triangle. See figures below. 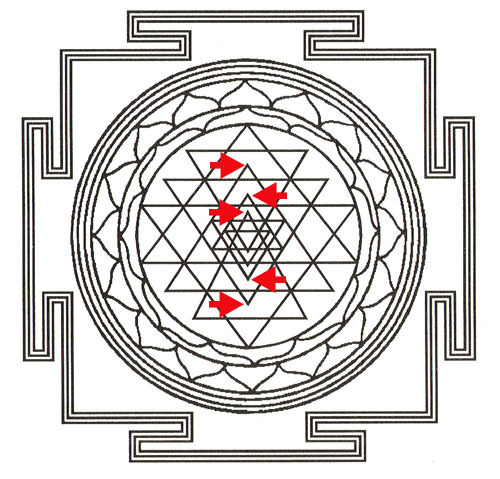 The figure above shows the problem with this very distorted version of the Sri Yantra. Notice how the apex of many of the inner triangles are not connected to the base of another triangle.